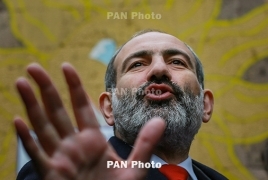 PanARMENIAN.Net - Reforms are underway in Armenia, according to Prime Minister Nikol Pashinyan. In an interview with Euronews, Pashinyan said it's time for his country to transform the "political revolution to an economic one." Pashinyan came to power in May 2018 after weeks of mass protests against corruption and cronyism. The former newspaper editor, who was jailed for stirring unrest in 2008, marked a dramatic break from the cadre of rulers who have run Armenia since the late 1990s. At Davos, Pashinyan said he wanted to reform the tax code and reduce taxes for individuals and businesses and hopes to attract foreign investment. He also wants to tackle poverty by introducing microfinance. "We will encourage our people to take measures to start some business activities and to help [them] overcome poverty which is the biggest problem," he said.